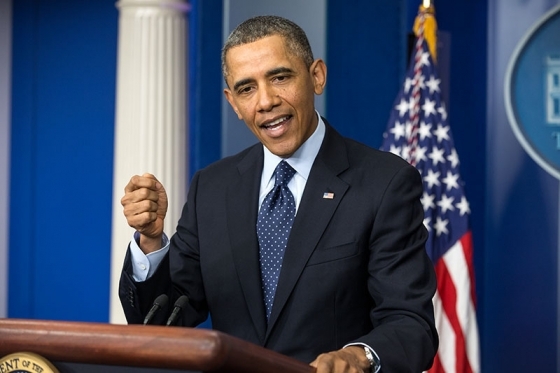 Washington – President Obama held a press conference Friday to assure the American people that his Affordable Care Act was on track to reach its target of 7 million enrollees by the year 4017. The president pointed out the date was less than 2,000 years after the initial target date, March 31st of next year. The president said that it would then take “roughly another thousand years” to get all enrollees through the entire process of getting signed up for a plan. Obama also pointed to a potential benefit of the delay in reaching the target enrollment numbers.